LIMAC Knife cutting system includes tangential knife, oscillating knife, kiss cut and creasing wheel, for cutting and creasing soft and semi-rigid materials, for customers in sign, graphic arts, printing and visual communication, packaging, shoe and leather goods cutting, furniture and car upholstery, apparel, pattern sample making, etc, . When integrated together with our LIMAC digital camera registration system, it makes your print-and-cut workflow process complete automatic. The knife cutting can also be integrated with LIMAC router machines so that one machine can cut soft, semi-rigid and hard materials from paper vinyl to wood to aluminum. 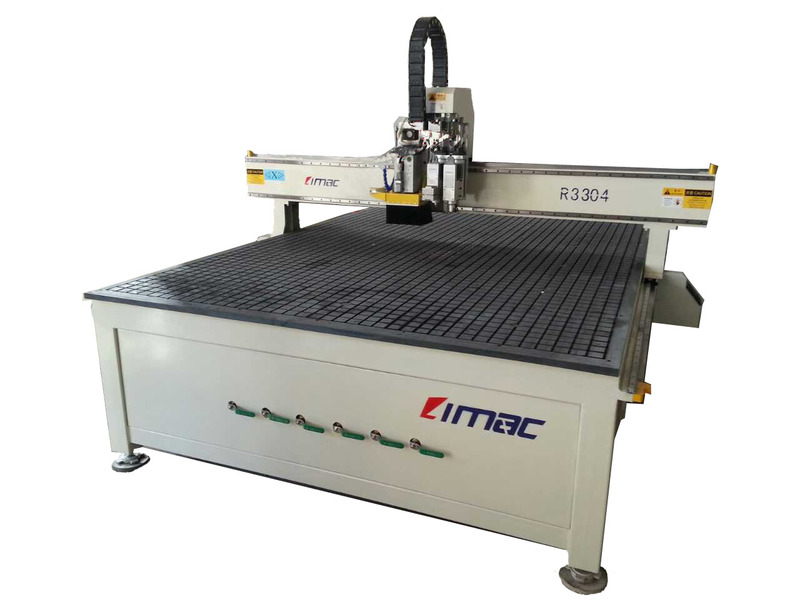 LIMAC is the first and as yet the only Chinese CNC router manufacturer in the present market that offers flatbed Knife cutting system. With rigid frame, advanced industrial motion control system and a vast range of sizes to choose from, LIMAC knife cutting systems offer more selections to the market and meet the ever-growing market of knife cutting machine. LIMAC has been a professional China manufacturer of CNC router, CNC Laser, CNC Plasma, CNC knife, waterjet, vision system, Custom CNC machines and water jet machine for woodworking, sheet metal, metalworking, plastic, sign making, ship building, mould making, aerospace, automobile, furniture, kitchen cabinet, door making, gift, toy, glass engraving and cutting, stone/marble/granite engraving and cutting, etc.